CVS had shocked the industry and those on Wall Street when the company announced their plans to remove all tobacco products from all of their stores by year’s end. Yesterday CVS shocked the industry again when they announced that they were able to remove all types of tobacco products from all of their stores a month earlier than was expected. Cigarettes and other tobacco products are officially off of CVS shelves across the nation! In an effort to solidify their position in the pharmacy retail industry the CVS/Caremark Corporation has decided to change their corporate name to CVS Health. As a company spokesmen stated, the company has decided to change their name in a effort to reflect “its broader health care commitment” to the future of health and the well being of their American consumers. The CEO Larry Merlo has said that the purpose behind changing the name gives more insight to the view of the company by the company so that the customers too will know how dedicated the company is to maintaining healthy and a health conscious environment. Pharmacy retailers like CVS have in the past been criticized for their sales practices; on one hand the companies have been promoting a more healthy lifestyle whereas on the other hand they have been selling products that are detrimental to that lifestyle. In February the company sent shock waves throughout the industry when they announced that tobacco products would no longer have a place on their shelves. The CEO of CVS was quoted to have said that by removing tobacco products from the company’s shelving would cost the company about 2 billion dollars annually in sales which is worth about 3 percent of overall revenue. 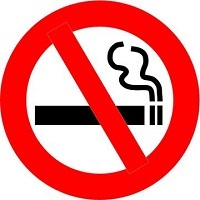 While many in the industry are unwilling to part with the high revenue brought in by tobacco products, those in the corporate management of CVS believe that if the brand is going to market itself more as a healthy pharmacy retail outlet then the brand should live up to the expectations of what means to be health conscious. CVS currently operates 7,700 pharmacies, 900 walk in clinics, and a large pharmacy benefit company known as CVS/Caremark. So the recall on selling tobacco product might be somewhat of a minor hit when it comes to annual profits, overall the company has already received praise from the consumer market applauding the decision to remove products that counter the brand image of the company. The move to end cigarette sales has started from an idea and turned into quite the trend throughout the industry of various retail outlets. CVS may be one of the first but it will certainly not be the last. Other retail outlets are also jumping on the bandwagon like Wal-Mart and Walgreens have both decided to discontinue selling tobacco products. As these other companies join in on moving into the health care business and have begun staffing retail clinics, the more that business changes will occur to match the lifestyles they have been promoting. All three locations have been investing funding into staffing their locations with nurses and pharmacists in order to help their consumers with more available services and one stop shopping. Merlo has decided that the company should become a model of achievement for the industry so that if other companies are to follow suit, they would be following the CVS example. Last month CVS partnered up with MedStar Health which is a 10 hospital system down near Washington D.C. The partnership between MedStar Health and CVS Health has brought the affiliation number of health systems and health care providers to about 41 across the country with the drugstore chain. With the implementation of the Affordable Care Act going into effect, the partnership between these companies will have a two-fold effect on CVS. On one hand it will push for brand recognition which will help on the drugstore sales side. On the other hand it will allow customers and patients to be able to receive care in network without having to deal with the stress of having to see doctors out of network. In short, by CVS ending their tobacco sales now, the company will be able to partner up with other health care providers which will increase the overall wealth and solidify the future of the company in two industries. CVS has taken a step in a new direction, one that the leadership of the company feels will ultimately help the brand in sales. While the company may be short changing itself out of 2 billion dollars in annual sales, the company has taken the steps to further itself in two industries. The brand will continue to promote a healthy lifestyle and now will not be contradicting itself via business practices. On Sunday the CEO of General Motors, Mary Barra revealed GM’s plans to introduce hands free driving capabilities into their more high end brands by 2017. The company has begun shifting their focus into more safety features for their customers in the wake of the industry record setting amount of recalls made by a single company. Google was one of the first companies to introduce their version of the hands free driving experience a few months ago, when they revealed a 2 passenger egg like vehicle. GM has released plans to introduce this type of technology into their more well known and already established sales lineup. The National Highway Traffic Safety Administration had recently estimated the cost of automobile crashes in the US per year. That study concluded that it cost the US tax payers more than 870 billion dollars per year to deal with rising automobile crashes. Due to the rising population and the increasing amount of new drivers hitting the road with every new year, the likelihood of accidents increases as well. Despite the surging numbers of recalls by GM as well as many other brands, the auto manufacturers feel that the implementation of this reactive software will allow for drivers to avoid collisions and operate their vehicles more safely. Amid the recent astonishing numbers of GM recalls, Barra continued to state that “Customers still trust GM because GM cars are safe.” The company has recalled more than 15 million vehicles at a cost of roughly 1.6 billion dollars in recall related customer claims. GM announced on Sunday their plans to take hands free driving to another level by allowing for bigger vehicles to enjoy the capability that has only been tested in smaller vehicles. GM will be applying this technology to their higher end Cadillac brand which will feature the technology coined as Super Cruise, which will allow the driver to operate the vehicle and drive hands free. Around the same time Cadillac will be offering vehicle to vehicle communication technology in their CTS model. The communication software will allow cars to essentially talk with each other and react to others should there be sudden stops or erratic driving behavior in an effort to reduce collisions. This technology is already in demand in Europe and around the world in some of the more congested regions. Europe and China would be some of the biggest markets where cars and trucks equipped with this type of technology would be in the highest demands. The Super Cruise feature is said to allow the vehicle to maintain a safe distance from others around it while being able to react to the slowing and speeding up of traffic around the car. The technology will also use current software that warns drivers about unintentional lane departure by correcting the direction of vehicle to maintain its place within the given lane. Unlike traditional cruise control which only allows the vehicle to maintain a certain speed, this new Super Cruise will basically allow the driver to be driven and take a break from the stresses of a daily commute or even an extended road trip. GM has promised that while the company will be rebuilding the Cadillac brand it will be this introduction of new safe technology that will help drive the brands popularity and sales. While in the past the GM brands may have suffered from a tarnished brand name with all the recalls but according to the company’s key spokeswoman and CEO Mary Barra, the brand has always produced safe cars and continues to do so. The addition of the hands free driving capability will allow the company to gain an edge over their competition while allowing their customers to enjoy a better driving experience. Netflix has come out and announced they’re joining a list of companies that are filing to rebuff the Comcast Time Warner merger. The current proposed merger between Comcast and Time Warner Cable is worth about 45 billion dollars and would allow two of the four biggest cable and internet providers to have a sizable control over the industry as Netflix is trying to convince the Federal Communications Commission. Netflix has submitted a 256 page document outlining why a merger between two of the nation’s largest internet and cable provider would not only be harmful to the rest of the industry but to the consumer population as well. Netflix and Comcast have had a prior relationship with each other even before the merger was announced. The relationship between Netflix and Comcast has been strained from almost the start. Comcast had demanded that Netflix pay the company what is coined as a terminating access fee so that customers weren’t exposed to a degrading signal. This type of charge has widely been seen by Netflix as a move to extort the company by threatening its customer base. Netflix is one of the largest online video streaming companies, which relies heavily on the signal strength and quality of internet providers. Netflix has expressed concern in the past with the performance of Comcast and how the company would bully other competitors that are so reliant on their services. Unlike a cable subscription which is harder to terminate a contract with due to local providers and possible lack of quality, Comcast sits on the upper hand where Netflix risks easier membership subscription cancellations. While Netflix remains one of the top online video providers, it is only as convenient to their customers as the internet providers that relay signals to consumer hardware. 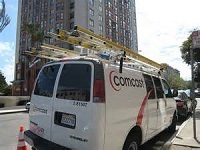 Comcast has stated publically that there is no cause for concern should the two companies be allowed to merge because neither company overlaps in terms of service. Comcast and Time Warner Cable are two of the nation’s four largest cable and internet providers which are seeking to solidify their place in the industry by combining two very well established histories and entrusting their place within the market. Netflix has argued that this type of merger will only have destructive results both inside the industry when it comes to competition as well as how these companies will treat their customers. Netflix has even gone as far as citing in their 256 page document that AT&T and MediaOne part with a significant segment of their broadband business before the companies were allowed to go ahead with a merger that occurred roughly 14 years ago. With AT&T and MediaOne, the concern had been due to the amount of industry control giving what would become one company more singular control than any of its competitors. Netflix feels that a Comcast Time Warner Cable merger now, would pose that same destructive power towards any competing company that like Netflix was subjected to extortion in an effort to keep customers. The Federal Communications Commission (FCC) will eventually make a decision on the legitimacy or legality behind the merger. In the meantime there are vary results being voiced both within the industry itself as well as consumer feedback on the still possible merger. Unlike Netflix which has proven a rocky relationship with Comcast; there are other companies that like Netflix provide the same if not similar services and are in fact in favor of the possible merger. Comcast has received roughly 400 supportive comments from consumers and about 80 chambers of commerce and companies have all voiced their support of a merger between the two companies. Such companies like Tivo and Cisco are all coming forth publically to show their support of the merger, deeming it would be a great move for those businesses and their bottom lines. The FCC’s comments deadline has now passed and Netflix filing their concerns just under the wire. Even though the forum for comments either in support or against the merger is done with, the FCC still has to evaluate the legitimacy and legality behind the possible merger. The public relations wars between Comcast, Time Warner Cable and Netflix will continue to rage on as the FCC enjoys the luxury of time to best evaluate the situation and the possible ramifications of their decision. Netflix spokesmen are confident that their document will raise significant concern within the FCC that will contribute to the merger to be shut down boasting that every question raised was countered in the document. Now it is only a matter of time to see how the FCC and the various companies involved on either side have stated and defended their positions. Crude oil prices have risen and only slightly fallen in recent years mirroring supply and demand. Contributing to higher prices have been world tensions amid ongoing war in or around oil producing nations and more recently the conflict ongoing in Ukraine concerning Russia. With all of that going on, many economists have been discussing how by the year 2023 there will be a worldwide decrease in fossil fuels. More fuel efficient cars have become the norm in many countries but the push for green or renewable energy has really been making a difference in the eyes of consumers. 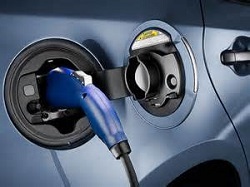 Globally, there are many governments offering monetary or tax break incentives to citizens that invest in purchasing electric or hybrid vehicles. As EV (electric vehicle) technology grows so too does the support of customers looking to buy them and a company by the name ALTe is leading the way in converting conventional vehicles into plug in vehicles. ALTe Technologies is a company that was founded 5 years ago by Tesla Motors Alumni. The company is best known for converting more conventional vehicles into plug in hybrids. The company has maintained its overall focus to be driven at the fleet vehicle industry, in order to make fleet vehicles more affordable to operate and more eco-friendly. ALTe has been developing both hybrid and electric systems since 2009. The company is looking to target countries with higher vehicular traffic as is found in the U.S., China, and developing nations in Asia-Pacific. Right now there is a big competition going on in the auto industry. It is not about who can make the smallest car or most fuel sipping smaller engine. The current fuel efficiency war that is ongoing is occurring between Ford and Dodge Ram in the pursuit to make a more fuel efficient pickup truck. The trucks that are currently being offered with higher range with combustion engines haven’t yet topped 28 miles per gallon highway. For many auto manufacturers, the only way to cut high fuel consumption is to cut the range and weight of the vehicles that are in question. In some cases like with Toyota and Nissan, these manufacturers were able to turn either an existing vehicle into a hybrid or fully electrically driven and able to keep customers by having a regularly sized vehicle reap the benefits. On the other side, customers are seeing vehicles like the IMEV which is offered by Mitsubishi which comes off like a only slightly larger Smart Car. So the fuel efficiency wars that continue to rage between all the auto manufacturers continues on many fronts as developers try to mix range and cabin room yet maintain an affordable or lowered sticker price. The importance of EV technology is the customer benefits of this applied technology. ALTe has been looking into manufacturing systems that would make some of the nation’s bestselling and most used vehicles more efficient for their owners to use. Within the last couple of months ALTe has introduced one of their EV systems onto an F150 in an effort to improve fuel consumption, while providing one of the best selling vehicles with an alternative to high gas prices and ever constant costly refueling trips. The importance of this breakthrough technology if it were to be introduced into the general market would revolutionize the auto industry. Right now electrically powered vehicles offer two things, high cost of ownership and sticker price and a lack of range. Depending on the brand, many people in the general market cannot afford to purchase an all electric vehicle. Often the cost of the technology is a common put off to those that would be the ones truly in need of the better fuel economy. On the market currently there are two types of electric vehicles available, the high luxury as is seen with BMW and Tesla, and the more common brands like Nissan, Mitsubishi, or Toyota. However the sticker price for Nissan, Mitsubishi and Toyota all are upwards of $30,000 which is not cheap and only offered in those models available, many of which are smaller cars. ALTe is a company that if their systems were to be produced on a more grandeur scale, would allow customers to keep their cars and eliminate the rather costly gas powered engine. ALTe technology has the ability to offer revolutionary changes into the auto world. It would allow the average consumer to achieve what only a privileged few can obtain while maintaining ownership over their current vehicles. The company’s soon to be ability would offer just about anybody the ability to have a longer run with their current vehicle rather than having to give it up due to rising fuel costs. Especially for customers in the US where electricity is subsidized by the government allowing for much cheaper costs in recharging as well as cost effective tax breaks. This time last year Nissan shocked the truck world when it announced a plan to team up with Cummins in order to produce a lineup of diesel powered trucks. Over the last couple of years Ford and Ram have been fighting over producing the most fuel efficient pickup truck on the market. 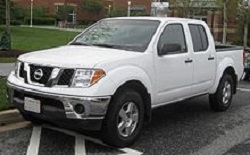 Nissan effectively threw its hat in the ring by introducing their concept for a diesel engine in their full size Titan, but also in their smaller Frontier model. Nissan’s diesel experiment could thrust the brand as a frontrunner when it comes to the truck market. Nissan’s diesel Frontier is only a concept right now with a few mule prototypes in existence. The truck is boasting a Cummins 2.8 liter turbo diesel six cylinder engine that produces 200 horsepower an 350 pounds of torque with an eight speed transmission. The truck itself is boasting up to 7,000 pounds of towing and will average 22 miles per gallon city and 30 miles per gallon highway which is virtually unheard of in power and fuel economy within the smaller truck category when compared to the last 20 years of small pickup trucks. The Frontier Diesel Desert Runner concept was first introduced when it appeared at the Chicago Auto Show in Chicago in February. Unlike the diesels that are being offered by both Ford and Ram, the availability of the diesel engine is not yet available in a 4 wheel drive version of the Frontier. Should the relationship between Nissan and Cummins continue to flourish, the technology behind both of these companies would allow for a superior product to hit the streets and allow customers to achieve better gas mileage and not have to give up the practicality of a pickup truck that has hurt consumers in the past. Currently Nissan has not officially committed to the building of diesel Frontiers for the commercial and non commercial uses, but many industry analysts believe that the company is not showing off their prototypes as a muscle flexing tactic. Industry analysts believe that Nissan has the intention to build these trucks on a massive scale, but are continuing on testing the technology first, before being able to introduce it into the market. The company has officially given no position on when or if the truck will be mass produced and at what cost to the consumer. Many believe the truck will start out at around 30,000 dollars. The truck that was on display at the Chicago Auto Show is exactly what is described as a mule prototype which is by Nissan standards nothing close to or representative of what would be the finished product that consumers would be exposed to. For Americans, the benefits of Cummins engines would hold a bit of pride close to the heart because Cummins prefers to build their engines where there is intent to sell. So if Nissan were to put Cummins engines into their pickup trucks, those engines would be produced domestically. Also the benefits of a Cummins diesel engine has other sometimes overlooked benefits that would help sales in the US. For instance when one hears the name Cummins, the name rings on a tone of professionalism and long standing history within the diesel technology category. The company is one of the most iconic supplier of power and fuel efficiency when it comes to diesel technology. Cummins has also been considering certain physical changes to the engine that would go into the Frontier model lineup that could help ease on engine weight and further better gas mileage. 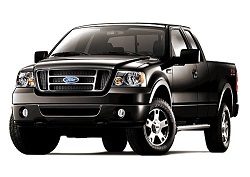 Fuel efficiency is a big winner when it comes to pickup trucks because in the current lineup of trucks available across the board, all of the pickup trucks available for purchase perform the same, it currently just comes down to brand preference. Should Cummins and Nissan actually pair up for the purpose of building diesel pickup trucks to be sold on the mass market, the results could be staggering for Nissan. The Frontier lineup has in recent months done rather well as it is the second highest selling small pickup truck on the market, just behind the Toyota Tacoma. The reason behind this is that the American companies like Ford, Dodge, and Chevrolet have all pulled their smaller pickup trucks off the market in the US. The Chevrolet and GMC small pickup is set to return later this fall but will not offer the fuel efficiency that can be achieved by a diesel. Should Nissan and Cummins give the green light and start building diesel powered pickup trucks at an affordable a reasonable price, Nissan’s overall profits might shoot up. While the figures of success are currently unknown, it is very possible that in the smaller truck market, the diesel Frontier could overtake the Toyota Tacoma and become the most popular selling small pickup in the US. Drones are becoming less of a thing of fantasy and more of the wave of the future. Perhaps the reason drones have become so popular is their ability to perform a multitude of functions at a much cheaper cost than if a human were to perform the same action. Drones were first popularized in recent years with their application on the battlefield but in time drones may be delivering you packages, news, or even the connectivity. Here are 4 companies that are contributing to the drone uprising. Google, who knew a tech company would be a main contributor to the drone uprising! Google has made it clear that drones will have a place in their future. The company had acquired Titan Aerospace in the early part of the year with the hopes of furthering the ability of connectivity via the internet. Titan Aerospace is a company that has been making quite a splash in the drone production industry. The company boasts that their drones can orbit the Earth for up to five years without refueling due to the solar technology that powers the engines on the jet sized aircraft. Google’s current dream is to have a fleet of these solar powered high altitude flying drones at their disposal in which will help them connect the world with efficient internet connectivity. The purpose of these drones is not to add to the over 50 billion dollar annual revenue but to help beam the internet down to areas where in infrastructure that supports more modernized countries, doesn’t exist. However Google will remain on the forefront and cutting edge of internet providing technology. Let’s take this in a different direction because Amazon has really been pushing for the more commercialized applications of package delivery when it comes to drone technology. 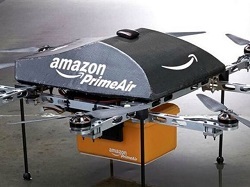 The e-commerce giant has been quoted in saying that “…one day, seeing Amazon Prime Air will be as normal as seeing mail trucks on the road today, resulting in enormous benefits for consumers across the nation.” Amazon was one of the first companies to invest in and help produce what they call the Octocopter which the company believes will help them cut shipping costs, delivery waiting times, and overall customer satisfaction. These drones won’t be whizzing by your house just yet as they still require much testing and the approval by the Federal Aviation Administration. Right now drones don’t play much of a role in the retail or e-commerce but it isn’t hard to envision how the future will shape out with the soon to be mass produced drone technology. Another shocker! A company that already is one of the main contributors to commercial and military aircraft. Boeing is a major world leader when it comes to providing long lasting and efficient aircraft for all sorts of usage. Millions if not billions of people have had the luxury of travelling by the seat of their pants in manned aircraft produced by Boeing. The company has made a fortune over the years supplying both commercial and military applications of the aeronautical engineering. The company has already produced a drone called the Phantom Eye which can fly consistently at 65,000 feet for four days. The application of this drone in the military sense can provide troops with ongoing and up to the minute intelligence and communications. Other than this one drone, the company has produce a number of drones for the U.S. military as well as the Unmanned Little Bird Drone Helicopter which has already been used by the U.S. Navy and U.S. Marine Corps for tactical supply and retrieval missions. AeroVironment is probably the only company on this list that you might not have ever heard of, or at least I didn’t. The company is California based and is probably one of the closest companies that is purely devoted to be a pure drone firm. AeroVironment generated 209 million dollars in revenue in unmanned aircraft systems which contribute to about 80 percent of the company’s total sales. 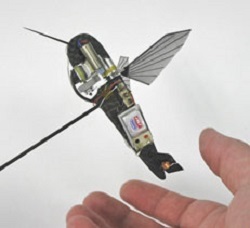 The company is most notably known for building a Nano Hummingbird which is small enough to hold in your hand. The company is responsible for producing a plethora of small light weight drones that is capable for domestic recreational use or has the ability to be used for military applications. These four above mentioned companies are all on the cutting edge of drone technology that have the ability to be used for a multitude of applications. From military use to the commercial use, drones are helping to pave the way of the future. The drone market is shaping the world around it as modernized nations are interested in the ability for add to national security and retailers the ability to ship more efficiently to their customers. And of course, like many internet and telecommunication companies are also becoming vested in, is making the world a little smaller by introducing the connectivity that drone aircraft will provide.